CKD Galbraith is offering a fifth floor suite in one of the capital's highest office buildings to let with stunning panoramic views of the city. 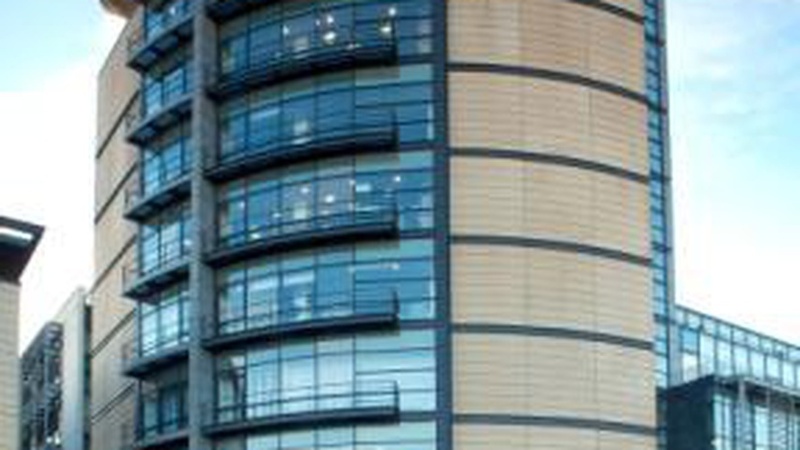 The self-contained, open plan suite at One Edinburgh Quay, which extends to 10,100 sq ft, is available as a whole floor to a single occupier or split into a rear suite of 6,600 sq ft and front suite of 3,500 sq ft.
Its location in a prominent waterside position at 133 Fountainbridge, part of Edinburgh's bustling Exchange District, which is already home to a host of financial, legal and government companies, including Tods Murray, Lloyds Banking Group, Barclays, Companies House and Pinsent Masons, makes the towering suite ideal for occupiers in similar sectors. The star feature of this high quality Grade A office accommodation is the dramatic sweeping vista over the capital city, including Edinburgh Castle across the west of the city and east towards Arthur's seat, and- on a good day - the Firth of Forth. 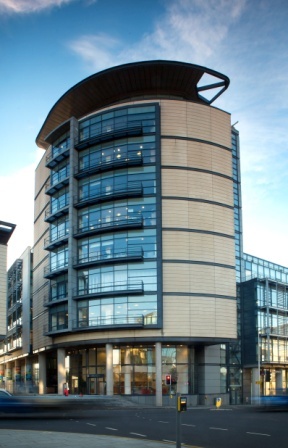 Michael Clements, marketing agent at CKD Galbraith, said: "This is a fantastic opportunity for a company to secure exceptional quality space in a landmark building with a breathtaking outlook right in the heart of Edinburgh's prime office district. "It will appeal to a company with the right altitude' and is certain to impress staff and clients." The suite is accessed via three passenger lifts from a striking, fully glazed, double height reception area, which features contemporary dcor with a full time concierge and it benefits from three secure basement car parking spaces. Quay One is part of a larger mixed-use development at Edinburgh Quay, which offers a range of vibrant amenities combining high quality apartments with restaurant and bar facilities, including Zizzi, Cargo and Hyde Out as well as a Tesco Local store. And it is only 10 minutes' walk from Princes Street and Haymarket Station with easy access to the City Bypass, West Edinburgh and Edinburgh International Airport. To see all Commercial office space currently available click here or find out more details about this property.